Fall feeding is one of the most critical feeding times. A healthy and stable plant can endure the hardship of winter better than a weak plant. 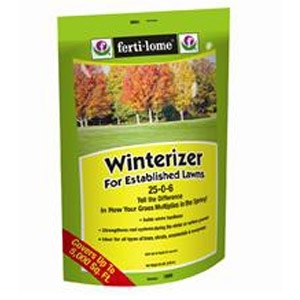 Winterizer builds winter hardiness, stem strength and disease resistance in lawns, trees and shrubs. Available in 20 & 40 lbs.